AMRX provides medical marijuana recommendations for patients throughout Florida. Call now. 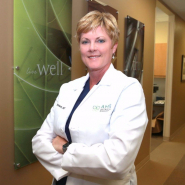 Access Marijuana RX, led by Dr. Lora Brown, provides medical marijuana recommendations for patients in Florida. No recommendation, no fee. Access Marijuana RX (AMRX) with Dr. Lora L. Brown provides medical marijuana (MMJ) recommendations for qualifying patients throughout Florida. Find out if you qualify and start your risk-free evaluation process now.